There are times, certainly, when you’re craving a bit of sugary indulgence. But for those occasions when a small isn’t small enough (or a tall is too tall?) 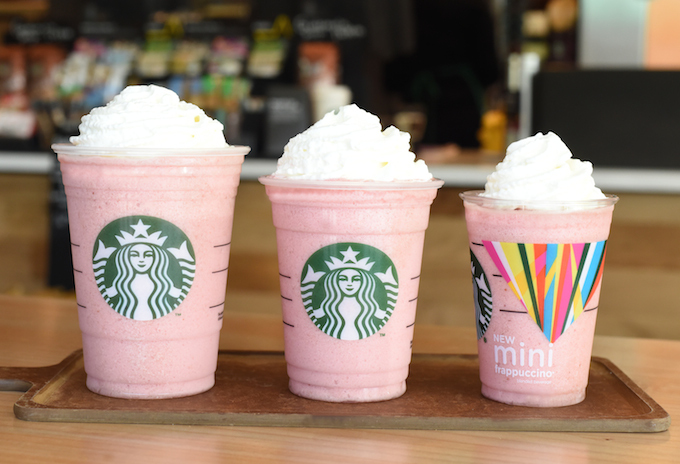 Starbucks is introducing a “Mini Frappuccino” for a limited time. Following tests of the Mini last September, the chain announced that the new, tinier size will be on sale from today through July 6, reports the Associated Press, clocking in at 10 ounces, down from the 12 ounces in Starbuck’s current smallest frappuccino size, tall. The company hasn’t said whether or not the mini will be a permanent offering, but the senior vice president of category brand management at Starbucks did tell the Associated Press that the Mini Frappuccino boosted overall store sales in the regions it was tested in last year, and that it brought in new customers and got existing ones to come back more often. One of the benefits of a smaller size means fewer calories, though each Mini will vary on that front depending on which flavor you order: A regular coffee Frappuccino with no whipped cream will have 120 calories and 24 grams of sugar, compared to 180 calories and 36 grams of sugar in the tall. The mini should also cost about $0.20 to $0.30 less than the tall.